At Isabella's Towing, we take pride in setting ourselves apart from other towing companies in Las Vegas, NV with great customer service, friendly staff, and fast service. We serve Towing Services in different areas and many other destination like Las Vegas, Henderson, or North Las Vegas. At Isabella’s Towing, we take pride in setting ourselves apart from other towing companies in Las Vegas, NV with great customer service, friendly staff, and fast service. You can always count on us to be there quickly in your time of need with fair, upfront prices that beat the competition. We prove that cheap towing in Las Vegas doesn’t mean sacrificing quality service and caring staff. In need of a tow or roadside assistance in Las Vegas, Henderson, or North Las Vegas? Give us a call today! Contact Us to learn more about our towing services & Request An Estimate. Stranded in Las Vegas with a broken-down car? Have you been involved in an accident and need vehicle recovery service? Call a tow truck at Isabella’s Towing to be there ASAP. As a leader in cheap towing in Las Vegas, we make it a priority to help you through your bad day with fast response and friendly service. 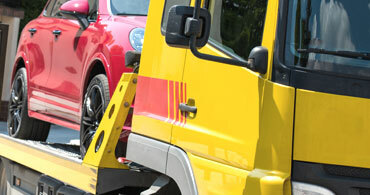 We don’t just offer car towing service in Las Vegas: we also offer affordable roadside assistance. Isabella’s Towing offers affordable and fast towing in Henderson, NV with a team of dedicated dispatchers and tow truck drivers ready to rescue you. Car lockout. We will get your door open and your keys back in your hand without damaging your car. Flat tire service. We can change a flat with your spare tire or inflate your tire to get you on your way to the tire shop. Jump start. Dead battery? No problem! We will be there quickly to give you a jump start and get you on your way. Fuel delivery. Run out of gas? It happens to everyone! We can deliver a few gallons of gas so you can make it to the station for a fill-up. Isabella’s Towing is a full-service car towing company in Las Vegas, NV offering towing service and roadside assistance. Learn more about what we do. we have a large service area to be there quickly when you need us. We serve Las Vegas, Henderson, and North Las Vegas, NV with fast towing, roadside assistance, and reasonable rates. Isabella’s Towing is a full-service Las Vegas towing company serving the Greater Las Vegas and Henderson area with dedicated customer service, friendly staff, and fast response time. We know that no one ever wants to call a towing company but we will make sure it’s a call you’re glad you made. Isabella’s Towing is an at-will towing company that only does voluntary car towing. If you’re stranded in the Greater Las Vegas area, we will be there quickly to rescue you. We offer affordable auto tow service after accidents, mechanical failure, and more. Our tow truck driver will be there quickly to pick you up and take your car wherever it needs to go. Who wants to pay more than necessary for a car towing company? We understand you’re already having a bad day. We don’t want to make it worse. You can always count on Isabella’s Towing for cheap towing in Las Vegas, Henderson, and North Las Vegas. We prove that you don’t need to sacrifice skilled service and great customer service to save money on towing service. You don’t want to sit around for hours waiting for a tow truck in Las Vegas. We get it. You’re already tired, stressed, and facing what may be an expensive repair bill. At Isabella’s Towing, we’re dedicated to making your towing experience as fast and easy as we can. 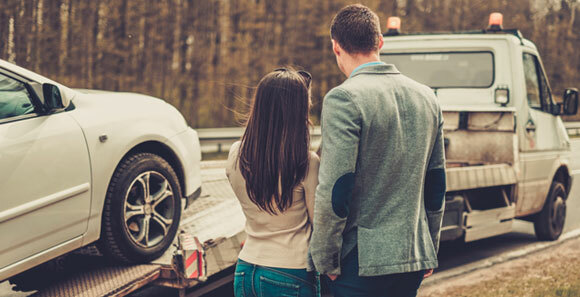 With our fast towing in Las Vegas, we’ll be there before you know it to take your car to your home or chosen auto shop so you can put this bad experience behind you. We do more than towing in Las Vegas and Henderson; we also offer affordable roadside assistance. If you are dealing with a dead battery, locked your keys in the car, or have a flat, you probably don’t need to pay for towing service. Give us a call for fast arrival. 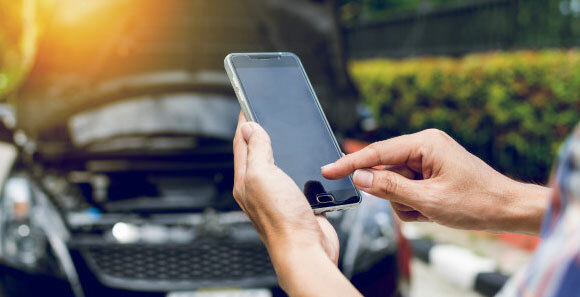 Our dedicated roadside assistance team offers emergency gas delivery, flat tire service, jump starts, and car lockout service to get you back on the road. Isabella’s Towing is a full-service towing company with a broad service area throughout Greater Las Vegas. We offer dedicated light- and medium-duty car towing service and roadside assistance in the following areas. We offer auto tow service and roadside assistance throughout Las Vegas, NV, including Downtown, West Las Vegas, Summerlin, The Lakes, and areas technically outside the city like The Strip. Call us today for fast towing in Las Vegas, NV to your auto shop. Henderson, just outside of Las Vegas, is the second-largest city in Nevada with a number of sprawling residential neighborhoods. 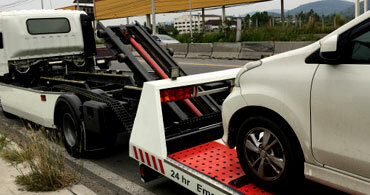 Isabella’s Towing offers car towing service and roadside assistance throughout Henderson. North Las Vegas is known for its manufacturing, warehouses, industrial buildings, and green and solar technology. Isabella’s Towing offers fast and cheap towing in North Las Vegas, NV as well as low-cost roadside assistance. Call Now! 702-602-9355 or fill out the form below and someone from our team will be in touch with you shortly.